The number of oil and gas rigs across the U.S. increased in the past week by 4 to reach a total of 1,049 while in Oklahoma, the rig count dropped by 2 to 120. Baker Hughes reported the number of oil rigs in the past week grew by 7 to reach 854 while the number of gas rigs was down 3 to 195. This past week’s account was still 74 higher than a year ago when there were 975 active oil and gas rigs. 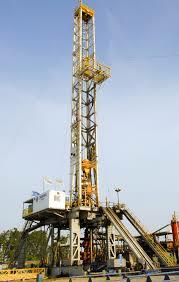 The most recent numbers reflect an increase of 63 oil rigs in the past year and eleven more gas rigs. Oklahoma’s count of 120 compares to Texas where the count dropped by 3 to 511. Kansas saw an increase of one to 32 according to the Red Top Rig Report published by the Independent Oil and Gas Service in Wichita, Kansas. Louisiana remained at 62 while in New Mexico, there was a loss of one to 111 oil and gas rigs. North Dakota remained at 58 while Wyoming added one to reach 34. 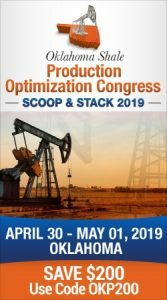 Of the oil and gas plays, the Woodfords in Oklahoma added two rigs to reach 10 while the Granite Wash stayed at 5 and the Mississippian remained at 10 The Permian Basin dropped 3 to reach 478. The D-J Niobrara stayed at 31 and the Williston remained at 58.